'Veerey Ki Wedding' is in the news for its title clash with Sonam Kapoor, Kareena Kapoor Khan starrer 'Veere Di Wedding'. Mumbai: 'Fukrey' actor Pulkit Samrat and 'Raaz: Reboot's pretty lady Kriti Kharbanda have come together for a film 'Veerey Ki Wedding'. The movie will also see Jimmy Sheirgill yet again playing a bachelor brother to Pulkit. Jimmy is one of the reasons the wedding can actually take place. Shot in Delhi, 'Veerey Ki Wedding' is an action-packed drama revolving around Pulkit and Kriti's wedding. The makers have released the movie's trailer with the cast, except Jimmy in presence. The crew, including music directors Meet Bros, and others, were also invited on the stage during the launch. The movie, like mentioned above, has been shot in Delhi, which also happens to be Pulkit Samrat's hometown. When asked about it, Pulkit said, "It's always special to shoot in Delhi. I shot 'Fukrey' also there. It was fun." Kriti also expressed her desire to play a Christian bride in her next movie. She said," I have played a bride 5 times in a row. I don't mind it actually. It's like I'm a dulhan expert. I'm continuously thinking how can I bring in a change, maybe by the costume? But now I want to play a Christian bride." Kriti Kharbanda did not give a nod to the makers till the last moment. Remembers director Asshu Trikha, "Kriti agreed 10 days before shoot so I was more than happy to have a readymade dulhan." 'Veerey Ki Wedding' is also in the news for its clash with Sonam Kapoor-Kareena Kapoor Khan starrer 'Veere Di Wedding's title. When Pulkit Samrat was asked about the same, he said, "5 movies had released on Bhagat Singh. Same title, same story. For us at least the story is different. The makers had the title already. And what I feel is that both are different films. So once we are done with 'Veerey Ki Wedding', we'll definitely look forward to 'Veere Di Wedding'." "We got a great title track so it's good that the title is this," said Kriti. Kriti also got candid on being an actress. She said, "I do films because I enjoy them. Others call it talent, I call it personality." Coming to her next film, Kriti concluded, "I have a release soon in Kannada." The film is set to release on 9 March, 2018. ■Pulkit Samrat says he believes in love, did he just hint at Yami Gautam? 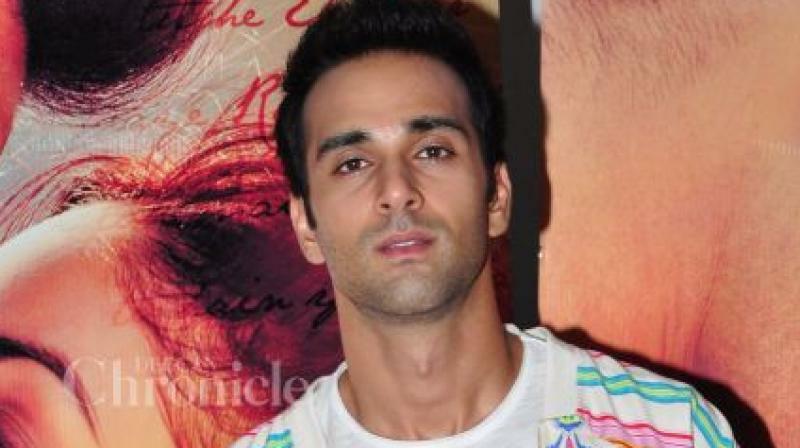 ■Exclusive: Pulkit Samrat giving tough time to Fukrey 2 makers?